I was excited to sit down and try Whittard’s Milky Oolong based on a combination of two factors. First, rave review for Whittard’s Afternoon Earl Grey, and my long-standing passion for wonderful oolong teas. A rare and prized hybrid tea with a distinctive creamy taste and soft butter-like aroma. Milky Oolong is prized for its silken texture, creamy taste and incredible aroma. Like all Oolongs it is semi fermented and tastes between a green and a black tea. 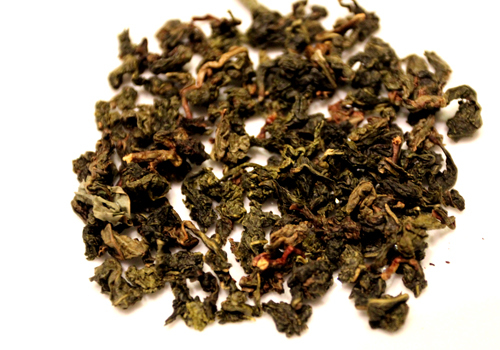 This particular variety is from the Fujian province in China and is loved for its elegant, complex taste. Brew this tea lightly to appreciate the multi-layered aromas that are compared to rose, vanilla and caramel, which gives a glorious smooth creamy taste. This tea has a surprising first impression! The tea smells very, very strongly like milk candy – sugary and sweet. Really, not at all like tea. 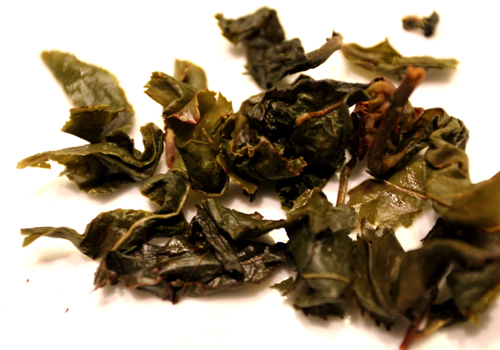 However, it has the appearance of a classic oolong, with tightly wound, unstructured twists of large leaves and stems. The tea is a mix of bright green and olive, less oxidized and brown than a bold, floral oolong would be. This promises to be an interesting cup. Steeped at 4 minutes, the tea liquor is a clear, deep gold and has scents of peach and berry. The tea leaves have doubled in sizes, and unfurled into huge, exuberant masses. The steeped cup is light and smooth, tasting quite a bit like a light green tea with a hint of peach and flowers. Without the label, I wouldn’t have guessed this was an oolong. It is medium bodied and has a bit of astringency to its taste. Surprisingly, the sweetness and sugar promised from the dry leaves don’t transfer into the steeped cup. Over a series of subsequent steepings, the flavor holds up well, and is easy to drink at a great price. The tea can be purchased at the Whittard site here.